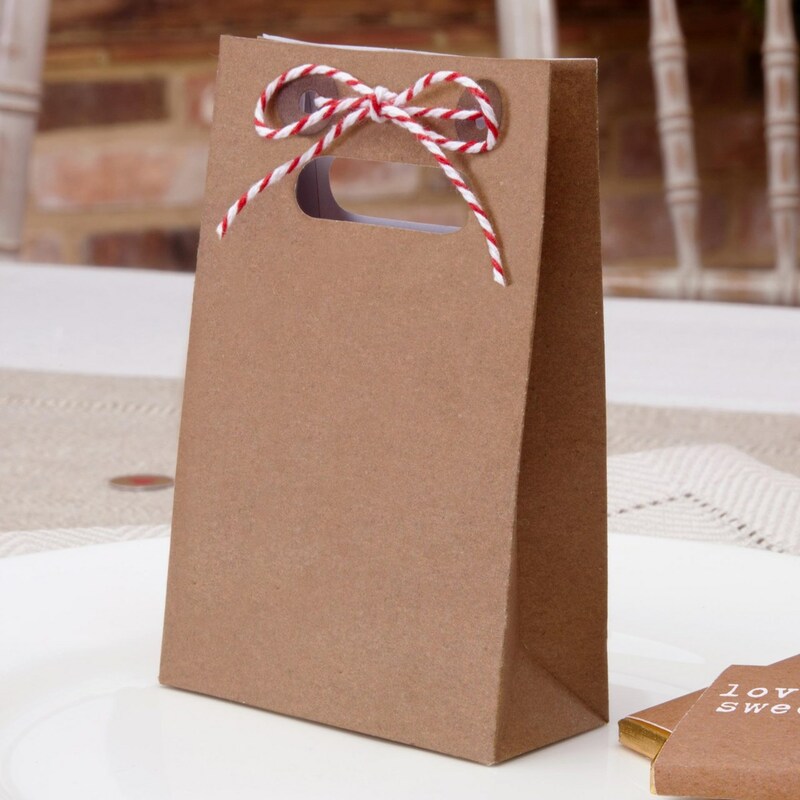 Take an understated approach to your wedding favours with these elegant paper bags, part of the "Just My Type" collection. The bags are designed to be used alongside the co-ordinating favour bag tags, which feature a message saying "Thank You For Sharing Our Special Day". Tags can be attached to the candy-stripe string at the top of each bag. An original way to thank your guests for helping you celebrate your wedding day. Size of Bag: 102mm Height, (useable height 75mm), 66mm width and 30mm depth. Supplied in packs of 10 favour bags.